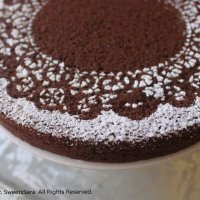 Chocolate Orange Almond Cake (DF): This is a single-layer cake has sophisticated flavor pairings and yet it takes less than one hour to make. 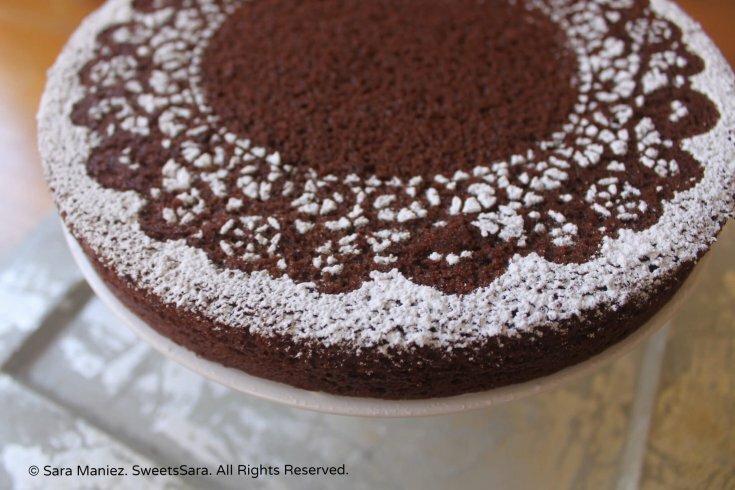 A decorative dusting of confectioner’s sugar tops this subtly orange-almond flavored chocolate cake. I prepared it this past week for a visiting friend and since it is so easy to make, I was able to also prepare a lunch and not feel pressed for time in the kitchen. It does not create a lot of dishes to clean up, since it can be made using one bowl. By using orange juice instead of milk, it is a lovely dairy-free cake option for those who have milk sensitivities. This is a single-layer Chocolate Orange Almond Cake has sophisticated flavor pairings and yet it takes less than one hour to make! Using a large mixing bowl, stir together flour, brown sugar, cocoa powder, baking soda, baking powder, and salt, making sure the dry ingredients are well blended. Add the orange juice, oil and almond extract. Beat until just combined. Add the egg and beat for a couple of minutes more, then spread batter into the prepared pan. Bake for 30 to 35 minutes or until a toothpick inserted into the center comes out clean. Cool the cake in the pan on a wire rack for 10 minutes, then remove the cake from the pan. 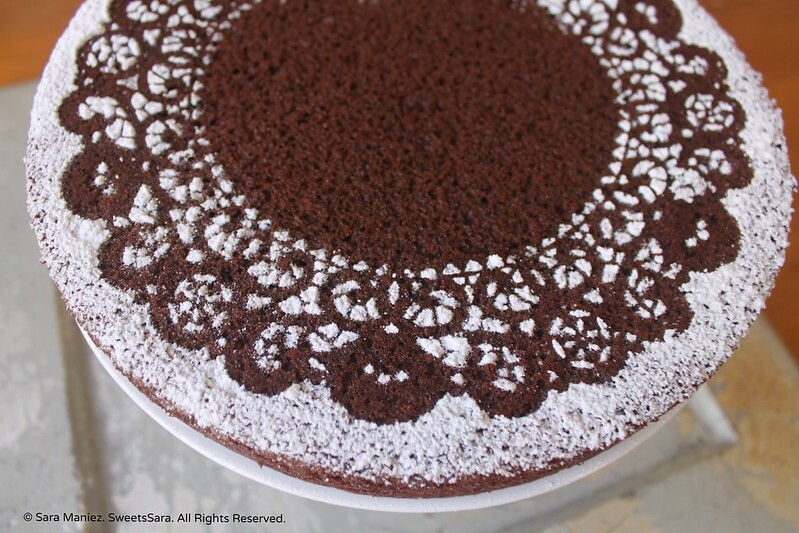 Allow to cool before applying the confectioner's sugar over the doily. 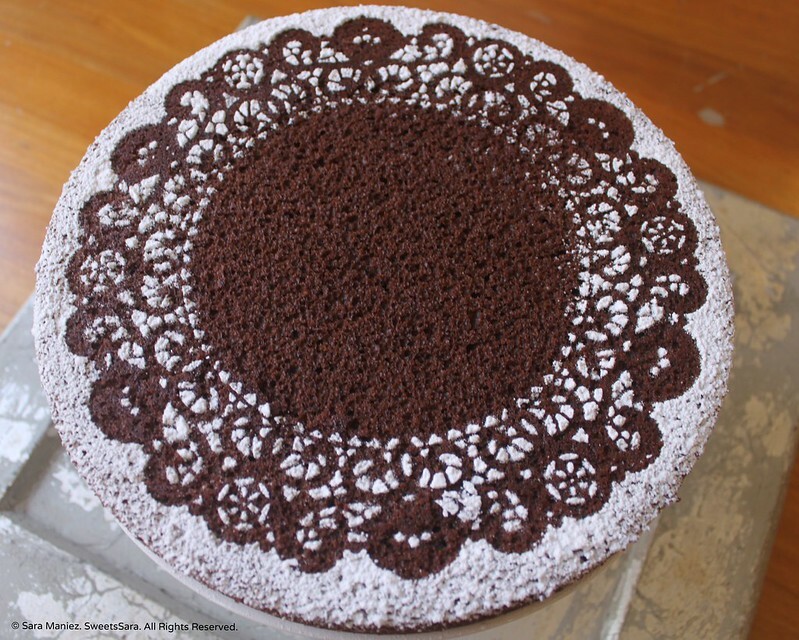 **Place 8 inch doily over top of cake. Put a tablespoon or so of confectioners sugar in a tea strainer. Gently tap the tea strainer over the doily cut outs. Remove doily. 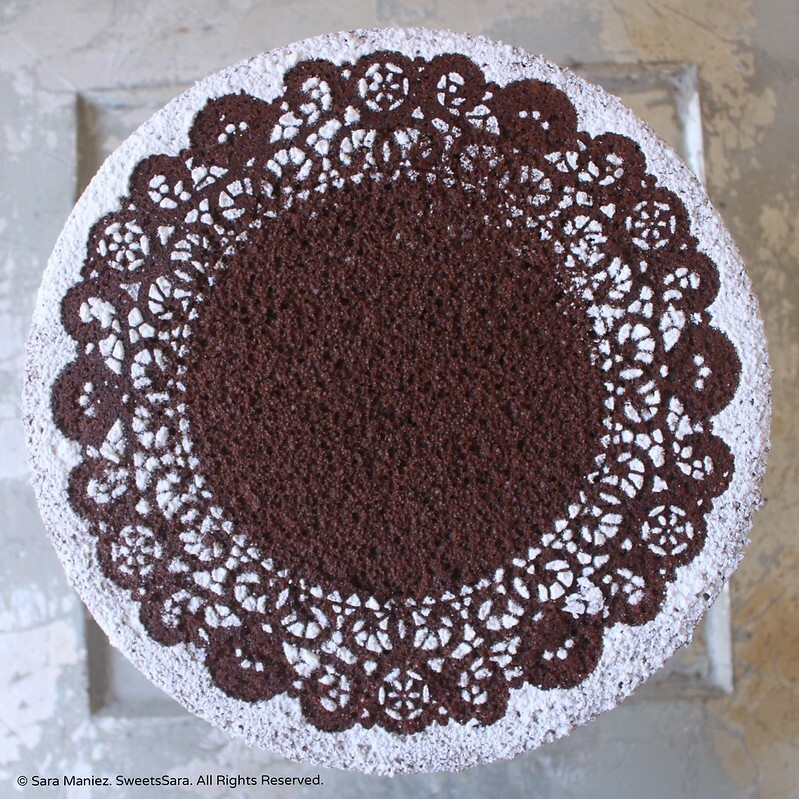 **I cut off the rounded top with a bread knife, turned the cake over and applied the confectioner's sugar to the "bottom" of the cake, giving a more uniform appearance and flatter surface for the doily design. *You can decorate the cake with almond slices or candied citrus. The original recipe that inspired this Dairy-Free Chocolate Orange Almond Cake is called “One-Bowl Chocolate Cake” p.168 of the Better Homes and Gardens New Cook Book. Please note: I follow 1/3 cup of cooking oil in the book version versus the online version where it calls for 1/4 cup of cooking oil. If you make this recipe and post a picture on social media, be sure to #lifeslittlesweets and link back to the post, thank you in advance! I love cakes without icing or too much fancy stuff going on top. I love the simple icing sugar on top and yours is just stunning. I am going to have to try and find some cool stencils to do that to my cakes. Hi Lauren! Thank you so much! I <3 Fabulous Foodie Fridays!